Pregnancy photography and newborn photography are nothing new but what happens when you recreate your pregnancy photos after your bub is born? If you have ever wanted to find a way to blend your pregnancy and first few weeks with your new baby, then here are some pregnancy recreation photos that are not only stunning, but also easy to do yourself. Pregnancy is an incredible time in one’s life but nothing compares to the feeling of holding your newborn in your arms. 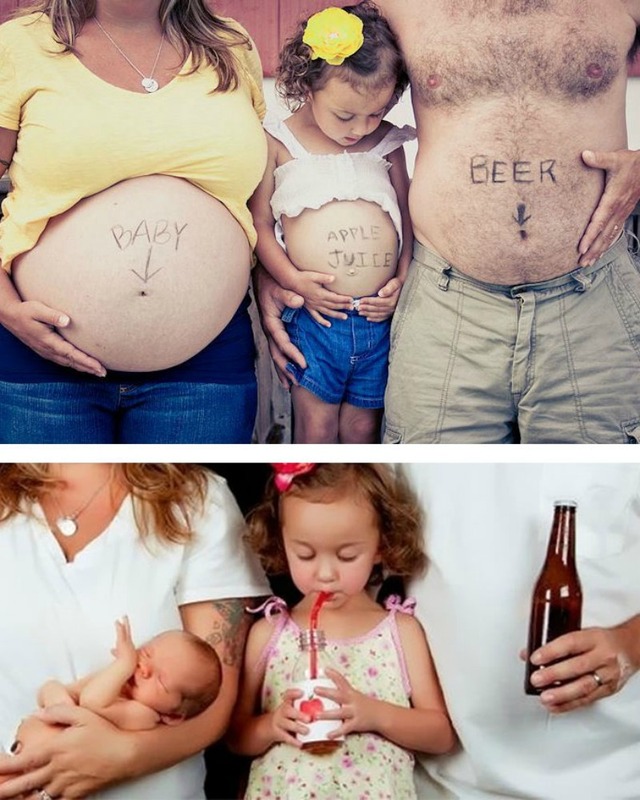 One of the more recent trends in newborn and pregnancy photography is to blend the two of them with dual photo shoots. With similar stances, settings and clothing, these photos capture just how amazing women’s bodies are as their baby bumps transform in front of the lens. It’s hard to explain the unwavering love, the overwhelming pride and the calming peace that comes with becoming a parent, especially with words. 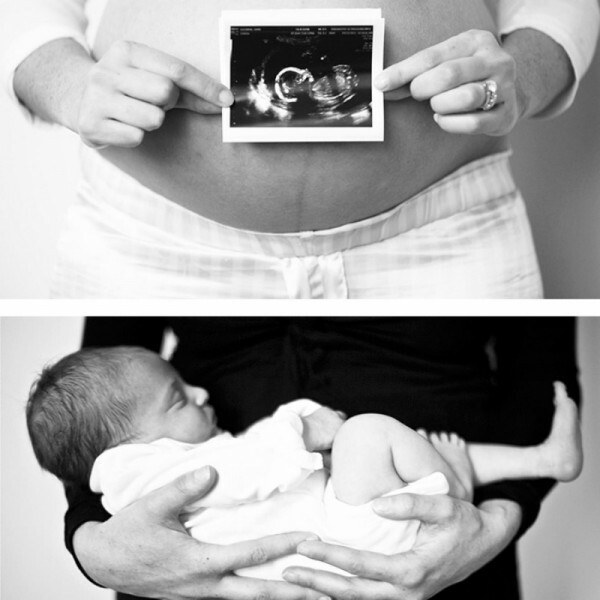 This is why many new and expectant mums turn to photography to help capture this moment in time. Recently Bored Panda put a call out to parents to share their pregnancy and newborn photography shots and what resulted was a wave of beautiful submissions from stunning new mums. These powerful pregnancy recreation photos not only highlight the beauty in pregnancy but the incredible result – the euphoria and the tranquillity that comes with holding your baby close. The photos range from serious to sweet, from serene to silly, but each of them tell a powerful story without needing a single word. And all of them highlight the bond and the love shared between the people in the photos. Some mums choose to include their families and partners in the photos while others stick to just themselves and a camera. 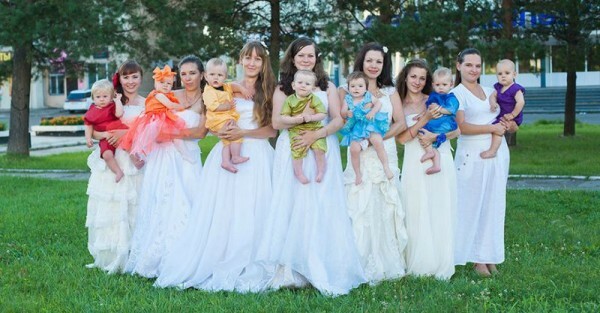 Some are easy to reproduce at home while others may require a bit of help from a professional snapper. 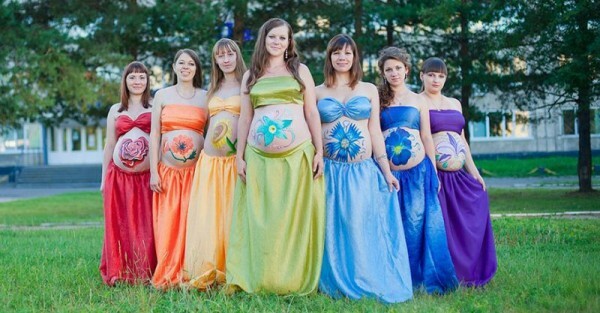 All of the photos tell a joyful story, especially these stunning photos displaying a group of pregnant mothers before and after the births of their rainbow babies, babies born after infant loss or miscarriage. 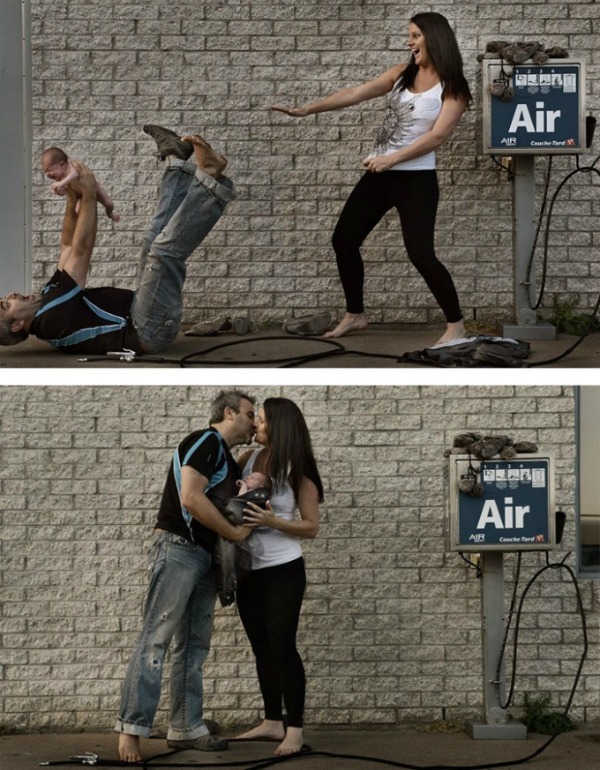 Another couple chose to have some fun with their pregnancy by staging a series of silly shots at a gas station. Other mums chose to keep it simple with just themselves and their bumps. Regardless of the method of delivery – the end result remains the same – a beautiful image to remember the moment forever. Check out all the incredible images at Bored Panda. We have more gorgeous pregnancy and newborn photography ideas to inspire your own photo shoot as well as an amazing photo recreation by a family with sextuplets.